As it had been a while since I made a new cheese, I wanted to ensure that my method was perfect before recording another. 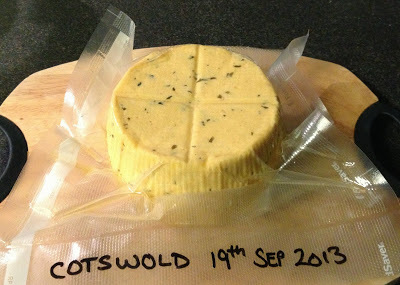 This time it’s a Cotswold cheese video tutorial. So three batches later, I believe that the recipe is sound and that my method was good. We have tasted the final result. A delicious cheese with a slight pickled onion flavour. Last month I wrote my initial report, and now here is the verdict. 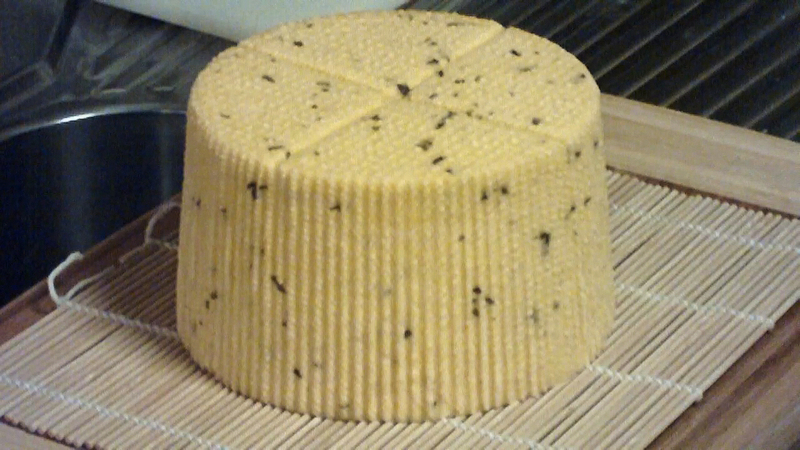 Maturing: I kept it in the cheese fridge for two and a half months at 13°C (55°F). Instead of waxing, I vacuum packed this round. De-waxing; As I took it out of the packaging, I noticed that it was a little misshapen. I believe that this was because I vacuum packed it without allowing extra film in between the cheese and the seal. There was no additional whey in the film. However, once I brought it up to room temperature, it kind of regained its round shape. Texture; It was easy to cut, and held its shape. Semi hard, and firm. There were no air holes, only places where the onions and chives had moved when I cut the cheese. Taste; Smooth cheddar taste with a big kick of pickled onions. Full flavoured. It is now Kim’s favourite cheese. It reminds her of ploughman’s lunches that are served in Pubs throughout the UK. Once tasted, She insisted that I make a double batch to keep up with demand, which is pictured below. I have these maturing in the cheese fridge now. Two Cotswolds ready for vac-packing and maturation. Verdict: This is a fantastic cheese. Not too strong, and very tasty. It takes a fair bit of stirring during the cheesemaking process, but well worth the effort. I would certainly make this cheese again (and have done so). So where is the recipe I hear you ask. 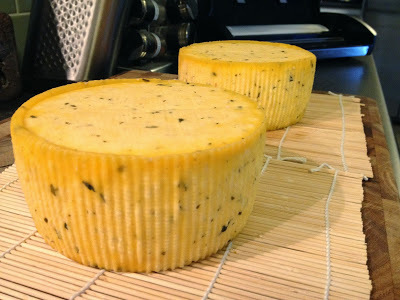 Well, as I created this recipe from many sources and have tested it thoroughly, I decided to bundle it with the second edition of Keep Calm and Make Cheese, my cheese making book. 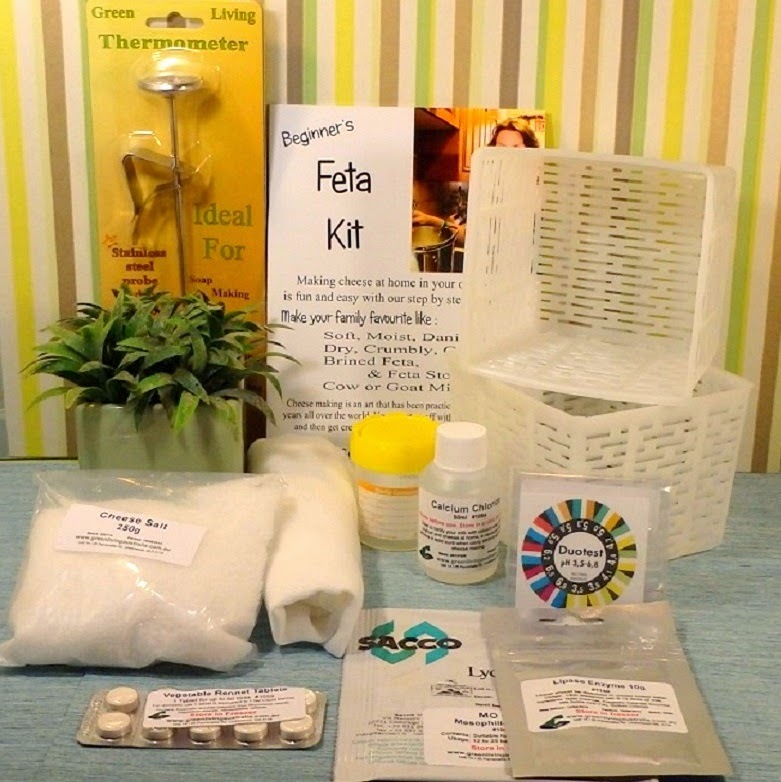 However, if you are really astute, you may be able to glean it from the video instructions. Well curd nerds, I hope you enjoy the Cotswold cheese video tutorial and the verdict breakdown. Until next time, Keep Calm and Make Cheese! I stumbled across this delightful cheese about two months ago, mainly because of a craving that my wife Kim had for a certain type of cheese. She had recently tasted a “Pickled Onion” style cheese that had been commercially processed, and asked me if I could find a cheese that resembled it. Well, after a little bit of research in my cheesemaking book library, I found a recipe for making Cotswold cheese. This is a Double Gloucester style cheese with the addition of dried onion and chives. As I glanced through the recipe, I noticed that it had some major omissions. So I rewrote it so that it would produce the desired outcome for the eight litres (2 gal) of milk that I wanted to use. I made the cheese using non-homogenised milk and I am quite pleased with the result. It has turned out well (so far). Instead of waxing, I chose to vacuum pack this wheel. It smells like the real deal and I just love the way the chives distributed evenly throughout the cheese. 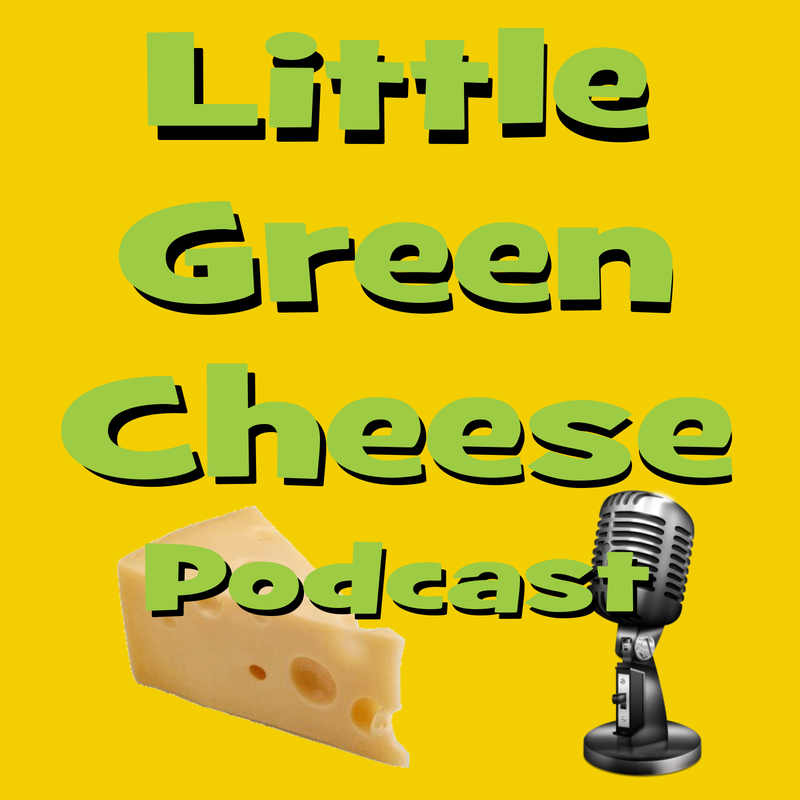 The finished product is still in the cheese fridge, so once it is mature, I will process the video that I took whilst making the cheese, and share it with all of you. I am going to crack it open on Sunday (Fathers Day in Australia), so stay tuned for a taste test and if I get time, a new video tutorial!